This tutorial will come in very handy if you’re thinking to allow your users to use the same password on multiple sites running on Memberium for ActiveCampaign. So without any further ado, let’s start. All sites should be running on Memberium for ActiveCampaign. All sites should have same CRM Password field. All sites should have same Secure Password Sync Field set. 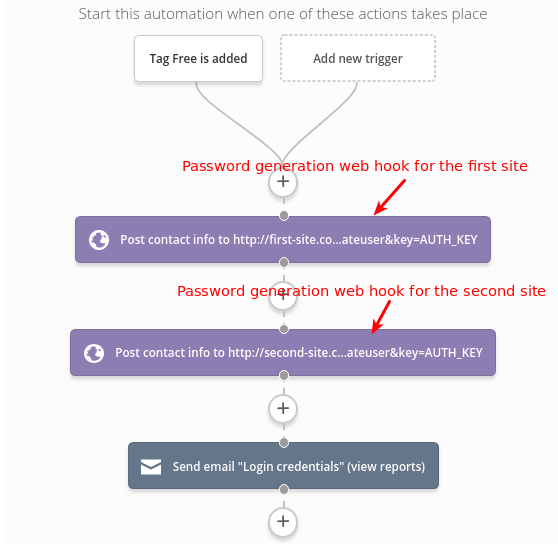 All sites should have same Secure Password Sync Automation set. Password generation sequence is the sequence in which you’ll put password generation web hook for all of your websites. The important thing is that you need to autologin your users on the website for which you’ve ran password generation web hook last. You can see that at the end of the automation, we are sending an email to user/customer with an Email Autologin link that you can get from: Memberium > Settings > Web Hooks/Links, and redirect the user to your Change password page. This page can use [memb_change_password] shortcode and when your user would change the password, it should then set the same password on the other site also. If the user changes his password through the forgot password option on any of the sites it will update this field, which let him also login to his other sites with the new password through this field. After password has been changed on that one website, hashed password will be sent to ActiveCampaign Secure Password field and user will be able to login on all of the websites using the new password. 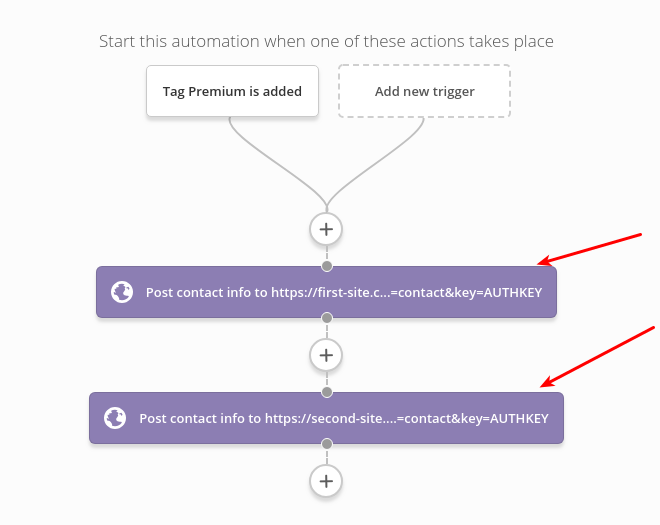 For your all sites, you’ll need to create an automation which runs the contact update webhook. The webhook will be different for all the sites and here’s the example link. Please note that you need to change AUTH_KEY and example.com to your website domain. You can find your auth key in Memberium => Settings => Web Hooks/Links tab => Web Hook Auth Keys field. As you can see from this screenshot, there’s one automation which will run the contact update webhook of all the sites. On the screenshot above we have tag added trigger, but that’s not needed, since you’ll actually select this automation in the “Secure Password Sync Automation” field. Once you’ve created this automation, you’d need to select it from Memberium > Setting > Login > Secure Password Sync Automation. Note that you’ll need to select this same automation on all your sites. In this step, you’ll need to have a Password field set from Memberium > Settings > Login tab. The “CRM Password Field” is where you’ll need to select your password field. This needs to be the same for all sites, and if it’s already set, then you’re good and you can proceed to the next step. Go to Memberium > Settings > Login tab and here you’ll find “Secure Password Sync Field”. This must be a different field than the password field that you’ve selected in step 1. Basically, this Secure Password Sync Field copies the encrypted password into an ActiveCampaign contact field, and then the encrypted password is pushed to your other sites using Webhook. You’ll need to ensure that on all the sites, you should use the same field in the Secure Password Sync Field. 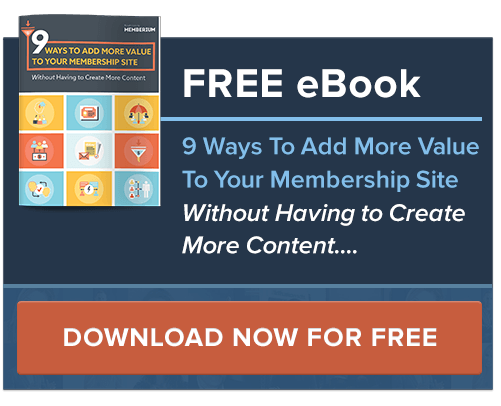 For example, if you’ve used “Membership Password” on one site, then you’ll need to use the same field for all other sites also. If you’ve not already installed the Webhook, then go to Memberium > ActiveCampaign and click on Web Hooks tab. On this page, select your list containing users, or all list and click on “Reinstall Webhooks” button. We also have a detailed tutorial on this which you can check out from here.